In the immediate aftermath of a horrific act of violence, it’s disturbingly easy to watch the gruesomeness unfold on social media—even if you don’t want to. We witnessed this inevitability during the Christchurch attack this month, as videos of a gunman opening fire in two mosques were uploaded at breakneck speed to Facebook, YouTube, and Twitter. These companies have promised more moderators and improved AI to prevent this unwanted virality in the future, but an official in Australia sees jail time for tech execs as a fitting solution. “The more important discussion we wanted to have today was how do you respond quicker, or indeed prevent the livestreaming of this type of material in the first instance?” Australian Attorney General Christian Porter said, referring to a meeting he and other government officials in Australia had with tech companies on Tuesday, Straits Times reported. “And the answers to those questions were not overly satisfactory.” Porter added that the Australia government was “absolutely considering” a penalty of jail time for tech execs who fail to sufficiently remove terrorist content from their platforms. Australian Prime Minister Scott Morrison was among those at the meeting on Tuesday, which included Facebook, Twitter, and Google, as well as local internet service providers, according to the Australian Financial Review. “If social media companies fail to demonstrate a willingness to immediately institute changes to prevent the use of their platforms, like what was filmed and shared by the perpetrators of the terrible offenses in Christchurch, we will take action,” Morrison said. According to the Australian Financial Review, the laws proposed to deal with violent terrorist content online would make it a criminal offense to not remove this type of footage in an urgent manner as soon as the platforms became aware of its circulation, through a report or otherwise. The legislation would also characterize video filmed by the perpetrator—this was the case for the disturbing New Zealand mosque footage, which was streamed from the shooter’s body cam—as “abhorrent violent material” and would be treated as a separate offense given tech companies fail to swiftly take it down. The proposed laws include a variety of penalties for not taking down violent terrorist content in an acceptable manner, ranging in severity depending on how long the content remained online. And, among these penalties, is jail time for tech execs. It’s unclear what would be considered a sufficient amount of time, and if that would change depending on the severity and virality of the content. 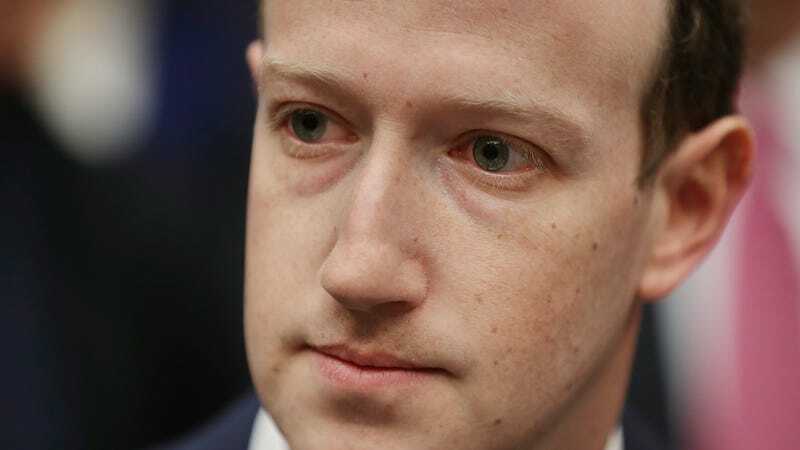 Within the first 24 hours of the Christchurch attack, for instance, Facebook said that it took down 1.5 million videos. It’s also unclear how the government would prove the social network’s awareness of violating content in the absence of a user report. According to CNET, Facebook said last week that no one reported the first-person video when it was live on the platform and that it didn’t get its first report until 12 minutes after the livestream ended. And as we saw with YouTube’s struggle to take down subtle variations of the original video, mechanisms like hashing and copyright ID don’t work for footage that hasn’t been previously uploaded to the system. It’s clear that these companies can’t rely on existing methods to effectively and, most importantly, instantly or preemptively wipe this aggressive new type of horrific virality from its platforms. But throwing tech executives in jail for what’s shaping up to be pretty nebulous legislation doesn’t solve the issue so much as instill a very real fear in the leaders responsible for allowing this content to thrive. It’s a proposal to a problem that seems to stem from tech companies’ lack of urgency, but rather than remedy a growing issue, it just puts on display government officials’ panicked helplessness. It also indicates that we are at an unsettling point in which world leaders are suggesting extreme options that simply lock up the gatekeepers of the internet. Of course, Australia doesn’t have a huge population and tech companies could always just pull out of the country if its leaders continue to make demands that defy the pace of innovation. In the meantime, maybe we’ll see some progress while the web giants try to appease leaders.